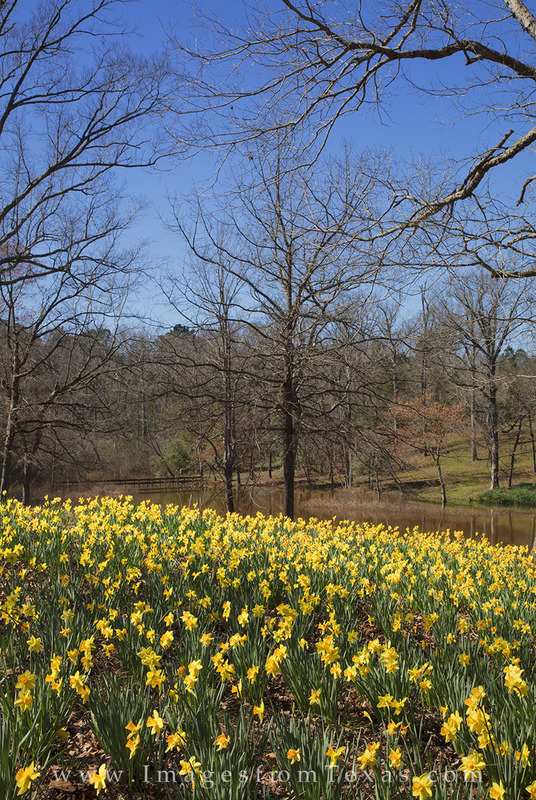 Daffodils grow by a small lake in east Texas. This daffodil farm, located near Gladewater, offers locals and visitors a view of beautiful wildflowers each February for a few short weeks. Photo © copyright by Rob Greebon.